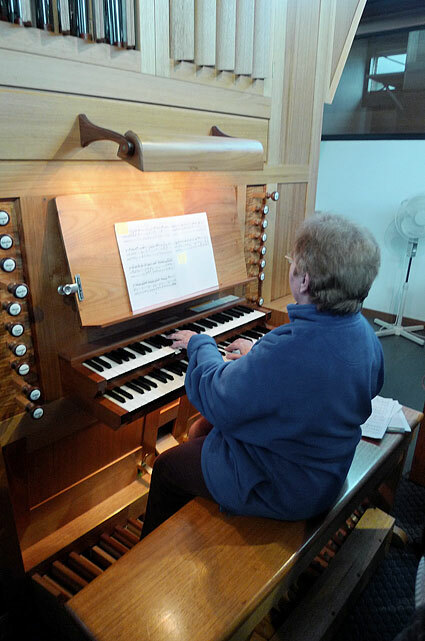 Although both church building and organ at Lobethal may be relatively new, the property at this “valley of praise” contains the oldest Lutheran Church in Australia. The history of the district revolves around Daniel Frietsche and his flock. 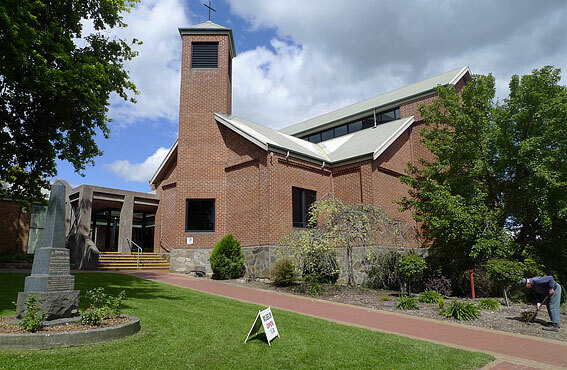 As in other Lutheran settlements, division led to the formation of new congregations and, at one period, Lobethal had at least three Lutheran churches. 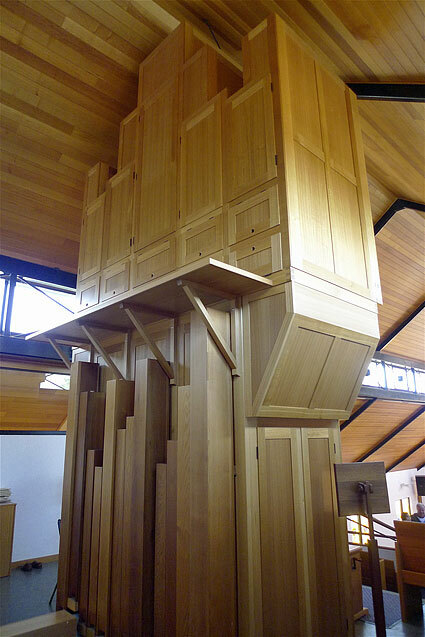 Over time, these have amalgamated forming the current Lobethal Lutheran Church in 1969. 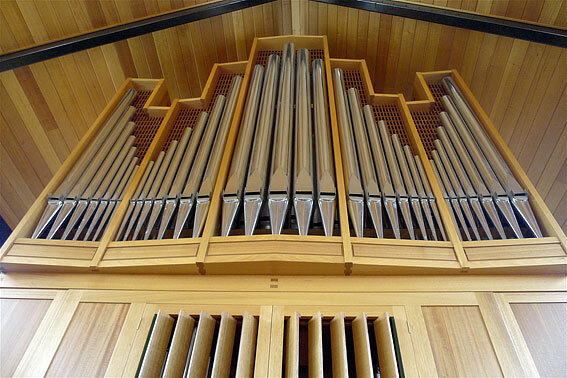 Early references to organs in the church have yet to be researched. 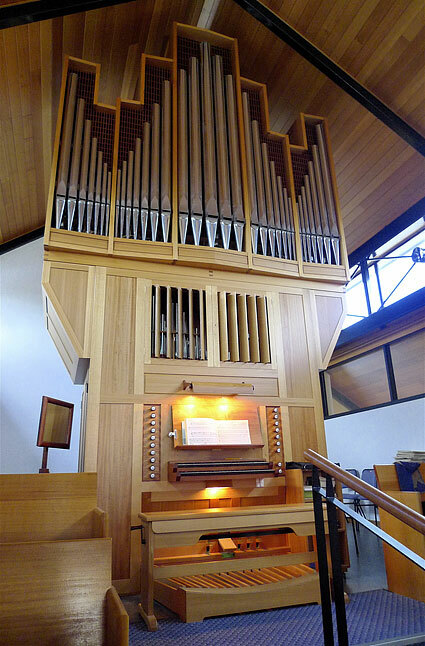 The current organ was installed in 1996. St Paul’s, having amalgamated with St John’s, closed in 1972 and was remodelled as a new church hall. In 1977, St John’s was placed on the Register of the National Trust. 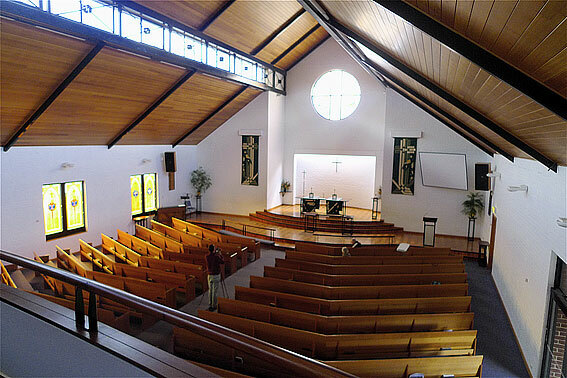 To satisfy the needs of the congregation a decision was taken to build a new church, the present structure being dedicated in 1992. 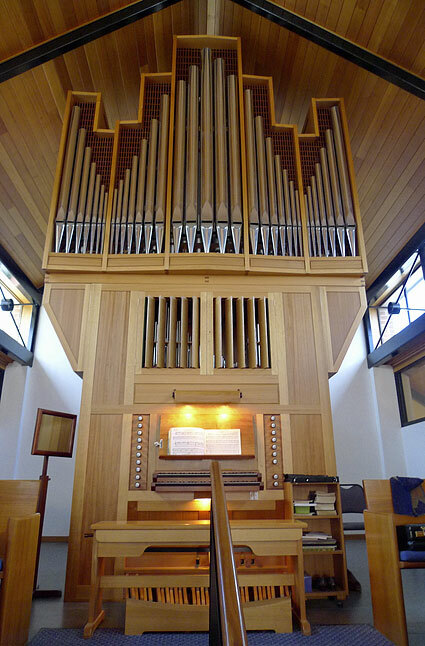 In the early planning stages encouragement was given to ensure adequate space was provided in the gallery for an organ. 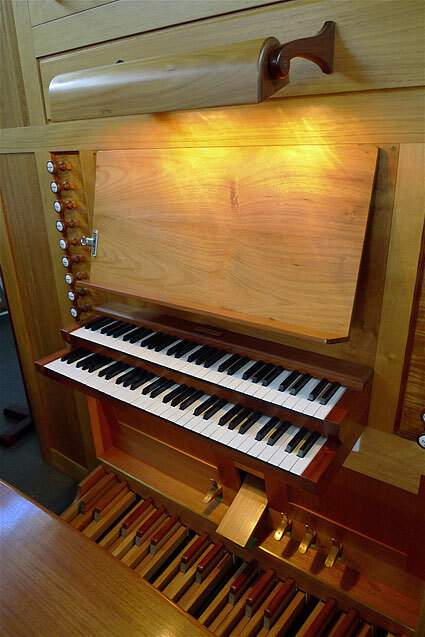 It was hoped the organ could be dedicated with the church, but construction and voicing of the instrument by Knud Smenge was only completed in June 1996, the dedication service following with Pastor Mark Whitfield as guest organist.5 Placed in a rear gallery, the manual naturals are capped in bone and the sharps in rosewood. 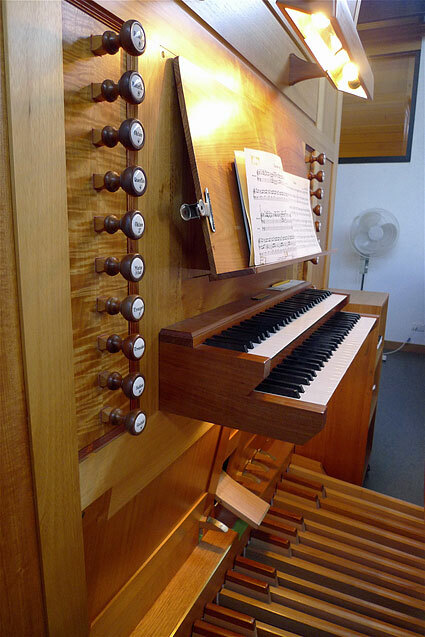 The pedalboard is of solid oak with ebony sharps and the casework is of Tasmanian oak.